The ROBOTS ARE COMING! to OTP & GC Tech Pros – Free Pastries & Coffee! Local Entrepreneur and mentor Alex Cua of the Etowah Electric Eagles robotics team will come speak on robotics technology and the cool things his student-led team is doing to learn the technology. Cherokee County is home to the YANMAR EVO//CENTER; a world-class AgTech Showcase Center & Event Space. YANMAR is leading the way through sustainable innovation using Drones, IoT, Augmented Reality, among other tech to drive better outcomes for its customers! 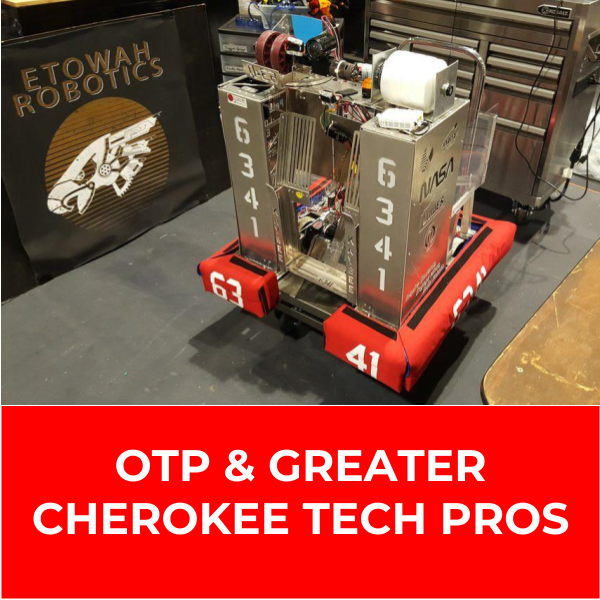 Welcome to the official Meetup for the OTP & Greater Cherokee Tech Pro’s!